With the generous support of our donors, along with a grant from Lush Fresh Handmade Cosmetics, the structures of the Avchen Abigail Mercy Academy (AAMA) were completed in late 2010 and began caring for and educating its first orphaned and at-risk children a year later. The Academy is currently home and school to nearly 30 children, and is a day school within easy walking distance for 30 more local-area children. The AAMA now has four classrooms. By adding one classroom and hiring one new teacher per year, Hands Up for Africa will meet its long-term goal of providing a complete primary school from pre-kindergarten through grade 8 by 2018. Since its inception, HUFA has raised more than $180,000, primarily to build the Avchen Abigail Mercy Academy (AAMA) near Nairobi, Kenya. In 2012, the AAMA became home and school to 30 children (ages 4-13), complete with clean drinking water, greenhouses, dairy cows, dorms and classrooms. Without Hands Up for Africa, these children would be living on the streets or in overcrowded homes with extended family, at risk for malnutrition, disease, abuse and drug use. An additional 30 local-area children attend the AAMA as day students. Providing daily meals is a challenge for most families in Kenya. With frequent droughts and rising global food prices, this has become even more difficult over the past decade. 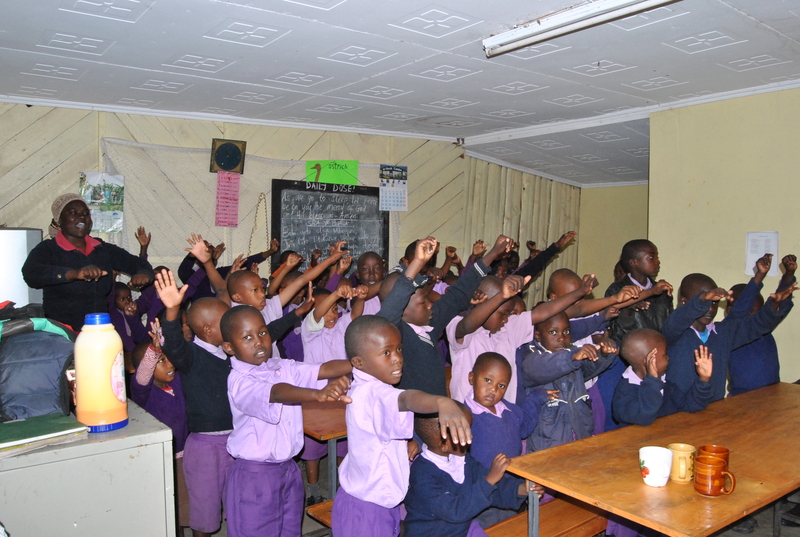 The lunch program began when fellow Vancouverite Bart Sullivan teamed up with Mama Mercy in 2007 to help address an immediate need: providing a daily meal for school children in her community of Ongata-Rongai during the Christmas school break. The momentum of this spontaneous program carried on past the break to provide food on other holidays. HUFA transitioned this program into a Monday-to-Friday guaranteed meal for nearly 100 children over the next three years. 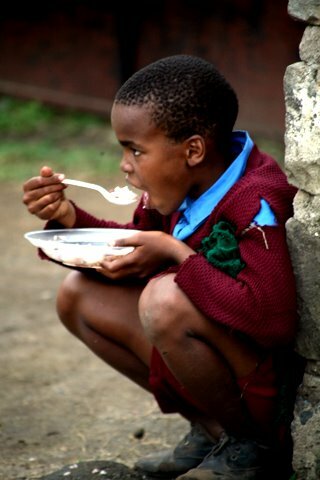 When the AAMA began full operations in 2011, HUFA returned to helping provide food relief during school breaks for the children of Mama Mercy’s immediate community, as we began to target the majority of its donations toward feeding, educating and caring for the Academy’s children full time. HUFA has also provided school sponsorship for several at-risk girls from Rescue Dada Centre – a Nairobi rehabilitation centre for street girls. This commitment was our first project, prior to locating Mama Mercy (see Our Story). Sponsorships through Rescue Dada allow girls who would otherwise be homeless or living in dangerous conditions to attend boarding school, providing them with education, food, and safe shelter.